It’s never been easier to add a simple one-click, checkbox style offer bump to your Infusionsoft order form. Our new checkbox style offer bump upsell snippet is copy > edit > paste, simple. 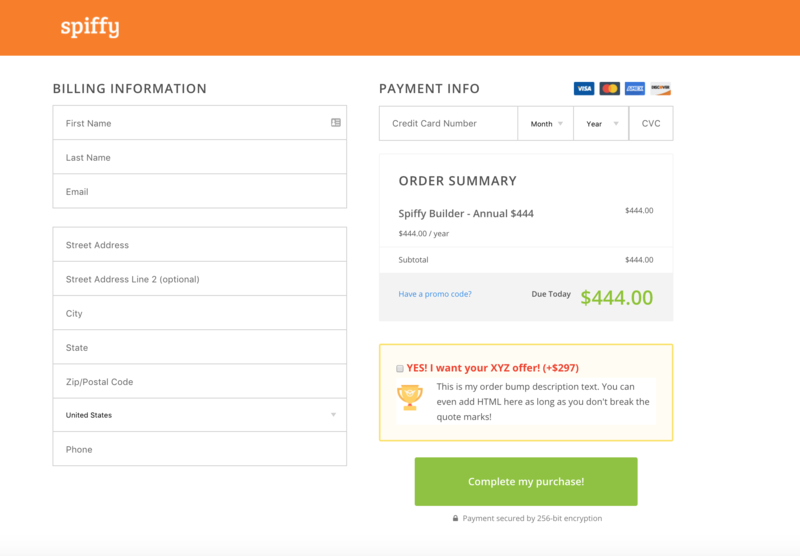 The new Spiffy Offer Bump Snippet utilizes the native upsell settings inside your Infusionsoft application, so, when the checkbox is selected, the offer bump product is added to the same order and processed in one single transaction. No API, no action sets, just simple! If you have any questions about how to implement the checkbox style offer bump, please don’t hesitate to reach out to our support team, we are here to help. Email us at support@gospiffy.com, or contact us here.